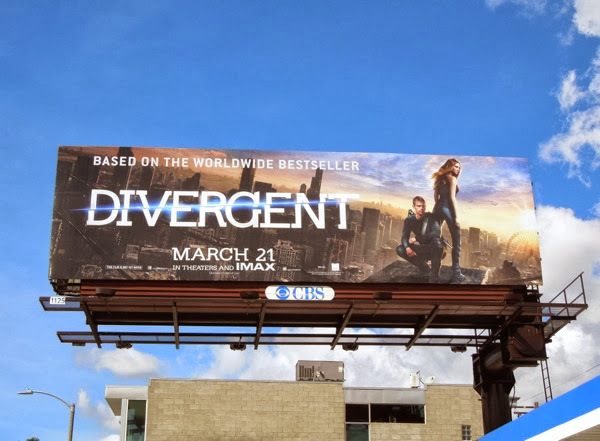 Will the big screen adaptation of Veronica Roth's debut novel, Divergent, set in a dystopian near-future Chicago, be the next young-adult book to become a blockbuster film franchise? 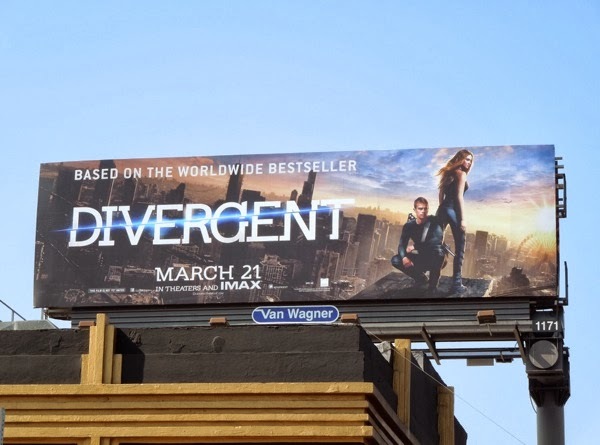 Daily Billboard is sure its stars Shailene Woodley and Theo James hope so. 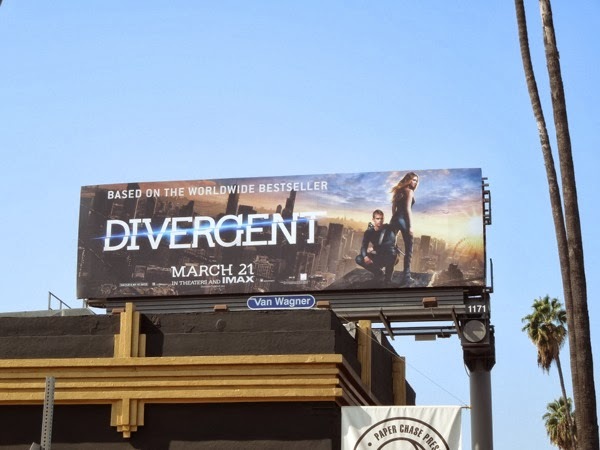 But more importantly can Divergent capture audiences imaginations in droves where the likes of The Host, Beautiful Creatures, The Mortal Instruments: City of Bones and Vampire Academy have failed to become the new Twilight Saga or The Hunger Games. Are you ready to learn the lore of a new sci-fi world? In this future people are separated into distinct factions by their particular strength or virtue. At 16 years of age children are tested and must choose which groups they'll commit to for life, whether it be Erudite (intelligence), Abnegation (selflessness), Amity (peacefulness), Candor (honesty) or Dauntless (bravery). Shailene Woodley's 'Beatrice "Tris" Prior' is told after her test that her results are inconclusive and she is 'Divergent' and could fit into multiple factions and not just one, making her a danger to the status quo and attracting the attention of Kate Winslet's Erudite leader, 'Jeanine Matthews'. Discovering a plot to destroy all 'Divergents' she's helped by the mysterious instructor 'Four' (played by Theo James), to uncover the truth and save them all. 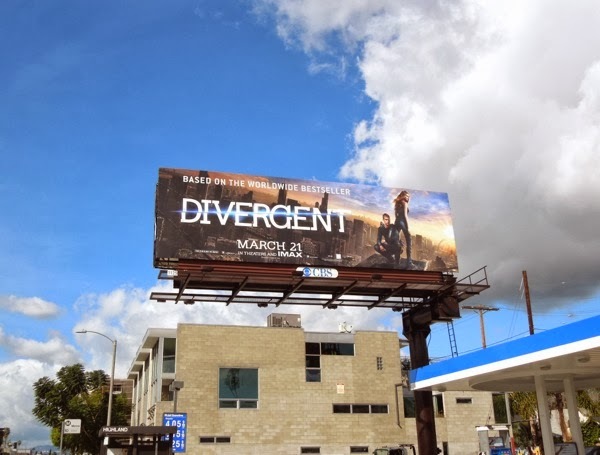 These Divergent movie billboards suggest there's a new day dawning, and were first spotted along Sunset Boulevard on February 19 and later along Melrose Avenue on February 27, 2014.